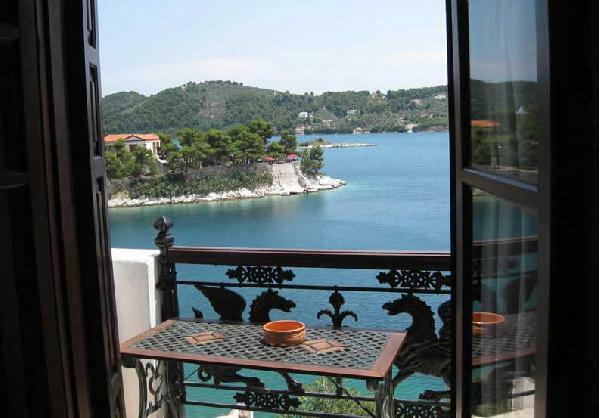 Built on a cliff right above the sea, in Plakes area, Chrysoulas Guest House offers air conditioned accommodations with spectacular views of Skiathos and the Aegean. Free wired Internet is available. Chrysoulas rooms are surrounded by rich greenery and feature dark wood furnishings and wooden beamed ceilings. They are equipped with a satellite TV and a refrigerator. Their furnished balconies boast views of the sea and the neighboring islands. 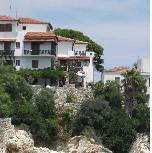 Guest House Chrysoula is just 165 ft from Skiathos port, where many cafes, bars and restaurants can be found. 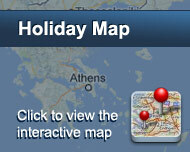 Skiathos airport is approximately one mile away. Free public parking is available near Chrysoulas Guest House. 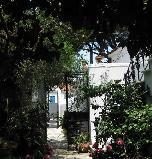 Είστε ιδιοκτήτης ή διευθυντής στο CHRYSOULAS GUEST HOUSE; Εγγραφείτε τώρα για δωρεάν εργαλεία, που μπορείτε να χρησιμοποιήσετε για να βελτιώσετε την καταχώρησή σας και να συνδέσετε την ιστοσελίδα σας και το σύστημα κρατήσεών σας.